Restore the natural tear's lipid layer to treat dryness and provide long lasting relief. 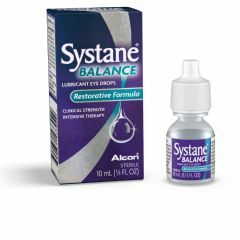 AllegroMedical.com presents The Systane Balance Lubricant Eye Drops. For the temporary relief of burning and irritation due to dryness of the eye. Restore the natural tear's lipid layer to treat dryness and provide long lasting relief.